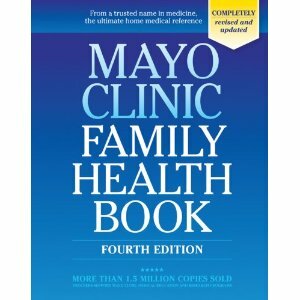 Since its initial publication in 1990, the “Mayo Clinic Family Health Book” has become a classic home medical reference, selling more than 1.5 million copies. Now in its fourth edition, this updated and abundantly illustrated volume offers the latest in medical knowledge, with a strong emphasis on self-care. From prevention to treatment, from infancy to old age, this comprehensive health guide offers reliable, easy-to-understand information in five convenient sections: Part I – Injuries and Symptoms; Part II – Pregnancy and Healthy Children; Part III – Healthy Adults; Colour section; Part IV – Diseases and Disorders; and, Part V – Tests and Treatments.